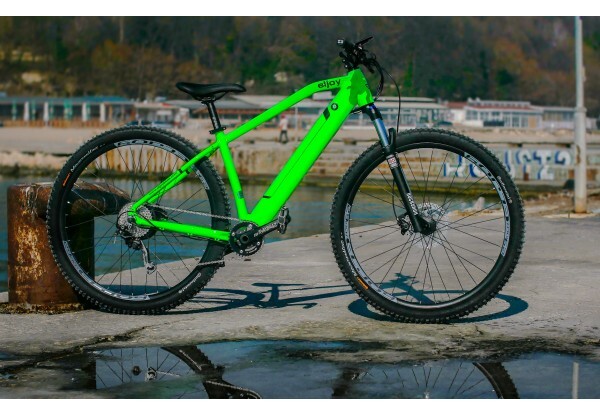 The bike will be available from the 15 of April 2019. If you order now the bike will be assembled and shipped after that date. Complete control. Complete package. Complete integration. Revolution is a strong word. One that signals a great change. This is what Revolution has done. Complete integration of the cables and battery into a sleek hand painted frame. Look at it from the side and you would think it’s not an e-bike. Make no mistake though, is a fast 29’er with 9 speeds, clean cockpit, aggressive looks and great control. It’s 500w peak power when accelerating* is excellent for fast burst to it’s top speed. When it comes to stopping power, Revolution comes as standard with Shimano Hydraulic brakes paired with an 180mm disk in the front and 160mm in the back. All in an easy to service package. What are you waiting for? It’s time for a Revolution! *The bike is limited to 25km/h for onroad use. 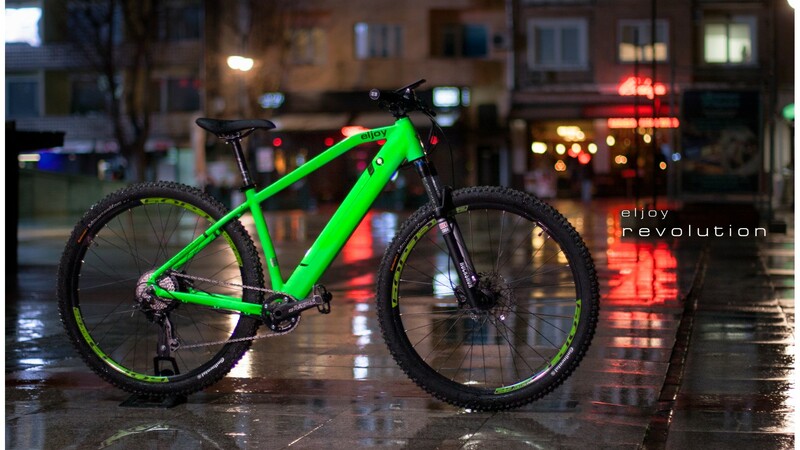 To unlock for offroad use contact Eljoy Bikes. Use this feature responsibly. 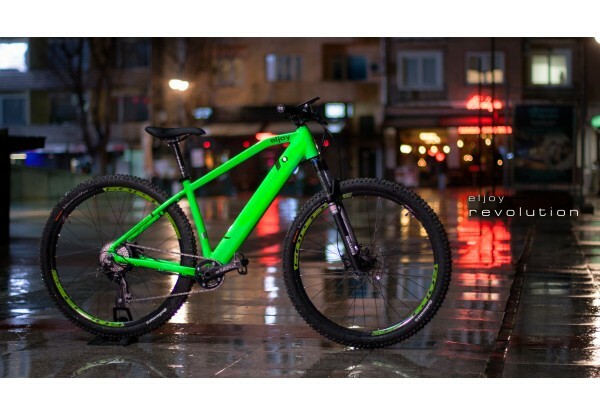 Eljoy Bikes is a Bulgarian company, established in the city of Varna. 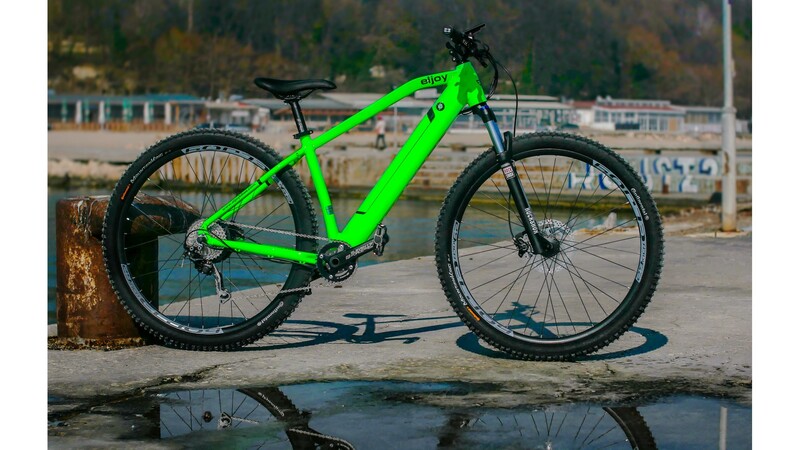 We have years of experience in building electric bicycles. We are group of dedicated e-bike enthusiasts and entrepreneurs with a passion for green culture and technology.